A momentous release by WikiLeaks of 251,287 US diplomatic cables started on November 28, 2010 in conjunction with The Guardian, Le Monde, El País, Der Spiegel and The New York Times. Since then, the original media partners have left the media partnership, and others have joined, in various regional arrangements. "The cables show the extent of US spying on its allies and the UN; turning a blind eye to corruption and human rights abuse in "client states"; backroom deals with supposedly neutral countries; lobbying for US corporations; and the measures US diplomats take to advance those who have access to them," said WikiLeaks on the introduction page for the release. Besides exposing questionable practices on behalf of world governments, the cables constitute an immense gift to history and contemporary journalism, presenting a dynamic and systematic picture of world diplomacy, in the painstaking detail required by the U.S. Department of State. Few events unfolding on the contemporary world stage go without context in these State Department cables. A critical reading of the cables bequeaths a deep understanding of local and regional politics, and the structure of world governance, and is invaluable to journalists, scholars and conscientious citizens. As of the Monday 22nd of August, 2011, Wikileaks started to release massive amounts of cables at once, by region, and invited its supporters to aid it in crowdsourcing the scanning of the materials. This process is ongoing. Since the beginning, an array of useful web resources have sprung up to aid the exploration of the Wikileaks data. These have evolved over the course of releases, gradually becoming more powerful. The following sites can be used to aid investigation of the State Department cables that have been in the process of release since late November 2010. Because of the way in which the cables are being released, many of the sites catalogue not only the cables themselves, but the release date and release schedule of the cables, the changes in redaction over various releases, and the percentage of the total number of cables. 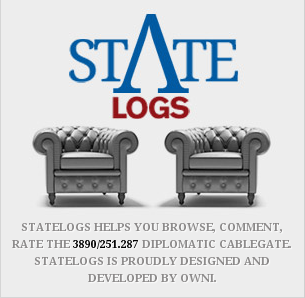 Wikileaks' Cablegate site is the first port of call, being perhaps the most authoritative central archive. While some media partners may release cables that are not yet released by Wikileaks, this site is where they are first released by Wikileaks. The site has been systematically mirrorred across the world since early December, when internet companies began to proactively censor it. The site is well laid out and easy to navigate, using the metadata navigation links on the left sidebar. There is, however, no search function. Cables can be viewed in terms of the date they were released from Wikileaks, but this option does not convey more complex data, such as whether a cable was released in a more or less redacted form at a later date. An apparent bug with the software amends the minute count in the "created" and "released" dates in the header of each cable so as to make it equivalent to the hour count. To centralize, collect and archive all of the August crowdsourcing efforts, the twitter hashtag #wlfind has been designated. The tag is extremely busy at present. New tweets are posted to the tag every minute by Wikileaks supporters (#wlsup) engaging in their own reading of the newly released cables. A twitter account has been set up to retweet selections of the #wlfind tweets: @wlfind. Since early December, a vast network of mirrors has been in operation, to prevent the removal of Wikileaks from the internet. If the official site is ever down, LeakyLinks keeps an extremely useful list of all of the some 2000 mirrors of Wikileaks site - sites that have signed up for the Wikileaks mass mirroring programme. LeakyLinks monitors each mirror and compares it with the official site to determine which of the mirrors are up to date, and which have fallen behind in their mirroring of all of the cables. While the cables are being released slowly, in batches, in collaboration with Wikileaks' media partners, a database generated from the metadata of the entire cache was released in November by The Guardian. The database contains certain fields of metadata from all 251286 cables, including the Creation Date, the Source, the Address, and the Tags. (It does not contain the Reference IDs or the Subject Headers.) This resource is invaluable for seeing the spread of all the cables, how many are yet to be released from a certain embassy, whether there were cables at a specific time, etc. It is a good place to check claims about as yet unreleased cables, too. A .csv file is available for download from the Guardian website, and another, with some extra data, is available here, for offline perusal and data manipulation. The best site for investigating the cables, surpassing the official site in terms of functionality. This site apparently began as an independent attempt to make the Wikileaks data more searchable, providing an up to date mirror of the Wikileaks site, but with its own interface and search engine. It has since expanded its remit, offering various powerful alternative options for presenting the cables which are not offered elsewhere. The search function is instant and intuitive and the cables are presented in an attractive and readable list, and can be expanded by clicking on the + button. A function is provided to add certain cables to a "cart" to be exported. Metadata is intelligently handled, expanded where abbreviations are used, and fully hyperlinked. The site also presents a fascinating tagcloud of the cables released to date. Two features are especially useful. The History page offers a visual breakdown of the release history of the cables, documenting when new documents were released, old documents removed from subsequent releases, redactions added or removed to existing cables. Readers also have the option to download the torrent of earlier Wikileaks releases, in order to view a cable that has since been removed. The Extras page implements a function that is not yet replicated anywhere else. 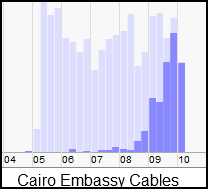 The present release status of the cables is compared - on a by embassy basis - with the total number of cables as gleaned from the Guardian's .csv file. Readers can view a list of all of the cables from a specific embassy, where released cables are correlated with their entries in the .csv file. Readers can see how many cables from a specific embassy have not yet been released, view their datestamps, and the content tags, and thereby gain some insight into the likely content of forthcoming releases. An excellent, simple Cablegate Search site, which allows browsing cable-readers to specify search terms, the results for which link to the cable on Wikileaks' site. Used in conjunction with Wikileaks' own site, Cabledrum affords a user powerful search capabilities for Cablegate, especially as the collection of searchable material grows more voluminous. The Cabledrum site is kept up to date. An experimental, but no less useful, data mining tool for the State Department cables, this tool allows users to specify a string of search terms, and then, rather than offering a straightforward list of results, instead offers the reader options to combine further terms semantically, according to the instances of the string in the text of the cables. The tool is useful not necessarily because it makes it easier to find what you're looking for (although it does), but because it offers a means by which you might discover things you weren't looking for, guided more surely by the semantic structure of the cables than by the limits of your imagination. A fascinating site, which gathers interesting data about the Cablegate releases, and presents it in an illuminating format. This site is an excellent list of disparities and anomalies in the Wikileaks releases. Missing cables, cables as yet released only by media partners, and strange redactions are all recorded here. Information on faked cables, corrupted cables and the "missing Beijing cable" are offered in a concise format. If it continues to be updated, this will be a go-to source for the full story on Cablegate. The authors of PrivetBank site compare the contents of each successive release of batch torrents from the Wikileaks official site, and detect anomalies. It transpires that some torrents actually remove cables that had been released in earlier torrents, or that some cables appear with new redactions imposed on them. Privetbank documents this in painstaking detail, so that the practice can be subjected to proper scrutiny by the public. Privetbank also contains information about the "Unofficial Cables" - those cables that have been documented on the media partner sites, but that have not, as yet, been released by Wikileaks. The site is not always completely up to date, but is well made, has a sophisticated and pleasing interface, provides links to various mirrors for each cable, offers every torrent so far released for download, and offers a very useful tool for Wikileaks investigators. While the feature has, since it came out, been duplicated by xs4all and cablegatesearch, this was where we saw it first, and it appears here in more comprehensive form. A neat and simple interface makes Dazzlepod a painless way of searching through the Cablegate material. Cables are also easily navigable by source using the links on the left. Dazzlepod offers a service whereby you can sign in to receive email and other alerts for specific releases. The tabs at the top provide some useful criteria for filtering the cables, one of which, indispensably, is the "Recently Updated Cables" where readers can see which already-released cables have been modified in latest releases, and compare these against their earlier versions. This function is not as feature-rich as other implementations, above, but it is quick and accessible. CableSearch is another excellent search engine for Cablegate, designed by journalists for journalists, CableSearch also offers a tabbed interface whereby readers can explore and search within categories defined by metadata terms. The interface is clear and pleasant to use, and information is kept on how up to date the present database is. It is often easier to see what cables have been released most recently here than on the official site. The frontpage provides a tag cloud, a word cloud based on the content of cables released to date, and a cloud generated from popular search terms. An aesthetically very pleasing site, Kabels also provides some innovative visual navigation options. Cables are navigable by source embassy, and searchable on the left. A clickable colour-coded mesh graph heads every cable, showing the rest of the cables from the same embassy, with the level of classification represented by colour. 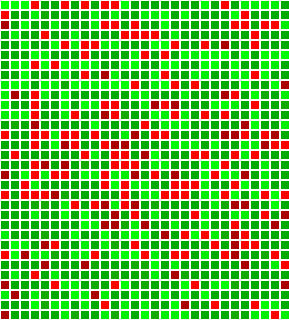 Clicking on each cell of the mesh graph brings the reader to the corresponding cable. Kabels also implements a crowd-rating system for the cables, offering readers the choice of tagging each cable they read as "Interesting" or not. Kabels is exclusively available via SSL. OWNI is the group which prepared the applications through which the Iraq War Logs were released. OWNI released their Statelogs site at the end of November in anticipation of the release of Cablegate. The site is straightforward enough, with a slightly clumsy interface. Interestingly, it provides a facility whereby readers can sign in, and comment on specific cables - an effort to combine archival and crowdsourced reading. Our own dredeyedick created a custom search tool which uses Google to search both the Afghanistan War Log and Iraq War Log releases from 2010, and the Cablegate archive to date, as well as the WL Central site, for any entered terms. The search is quite useful, and raises the interesting question of whether it will ever be possible to search the combined coverage of all of the media partners on Cablegate along with the original source material. It is also accessible on dredeyedick's Twextra site, here. 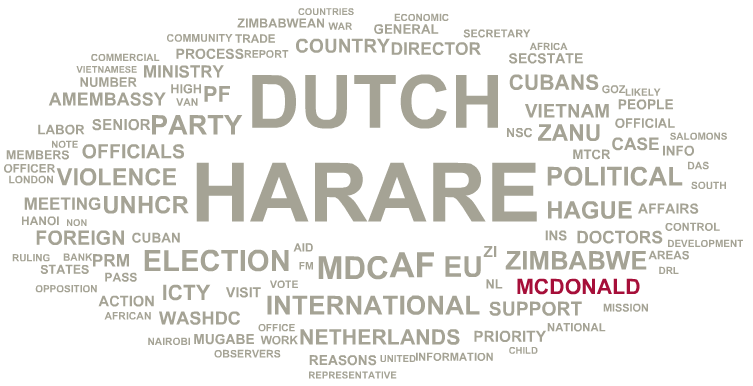 A word cloud, apparently generated from the full text of the 250,000 cable cache in the possession of Afterposten, this feature allows for analysis of cables from US embassies and consulates and provides an insight into what US ambassadors found interesting. The interactive word cloud visualizes a word count of more than 200,000 messages between the US State Department and its embassies and consulates from 1966 though February 2010. Since the word cloud is generated from as yet unreleased cables, and since the cable count for certain years is rather low, this gives close readers insight into the actual content of as yet unreleased cables. Leakfeed.com provides a handy assortment of different feeds, in various languages, for those who want to keep as up to date as possible on the cables using a feed system. The feeds include the latest 50 releases, a feed for a specific cable, a feed based on search parameters, or a feed based on filter criteria. The following sites are crowdsourced citizen journalism efforts to give Cablegate the attention and treatment it deserves by the internet community. The communities around them are still in development and appear to be seeking dedicated contributors. CrowdLeak is a successor project of Operation Leakspin, which was a project towards which the swarm moved after worldwide ambivalence about Anon's Operation Payback. CrowdLeak's raison d'etre is to scour the Cablegate releases for the most interesting and urgent revelations contained there, and to document them in a manner that is accessible to the public, and which is likely to activate individuals politically. The site engages in the summarization, translation and publication of cables, in German, Dutch, French, Italian, Portuguese, Spanish and Russian. The site uses an innovative collaborative review process for publication of articles. WikiSpooks is a crowdsourced project designed to build a credible and comprehensive knowledge of "deep political structures and events." The use of Cablegate material takes a central role in this effort, and an editorial policy designed to arbitrate political disagreements as to source material is implemented. An interesting concept, using the MediaWiki engine, with some potential for good material. Both CableWiki and CableGateWiki were crowdsourced attempts to archive and document each cable that is released in an internationally accessible way. The central mandate of these sites is summarization and translation into languages other than English to facilitate the accessibility of key information by non English speakers. Both sites have recently resolve to merge, and pool resources. The following articles serve as digests of the last year's Wikileaks news, selected according to personal assessment of newsworthiness and salience. They are a valuable resource for anyone who wants to ascertain for him or herself, independent of self-directed reading, whether it is true, as commonly maintained, that "Wikileaks told us nothing new." One of the most startling collections of Cablegate revelations was compiled by WL Central editor and contributor, Kevin Gosztola. On the 7th of March, 2011, to commemorate the 100th day since the commencement of Cablegate, Kevin compiled an indispensable list of stories that the first 100 days of Cablegate saw burst into the public eye. He then spent 100 minutes in the morning of the 7th tweeting one of these revelations a minute, to a grand total of 100 Cablegate revelations. Readers who take the time to work through the list will be unable to deny the sheer scope and variety of the leaks. The Nation's Greg Mitchell is by now one of the key names in Wikileaks coverage. His Wikileaks live blog has been a fixture since late November for anyone wanting to keep abreast of the news on Wikileaks. He has also written a book on Wikileaks' activities since April 2009. In these posts, Mitchell compiles, from his own archive, a huge list of valuable points of information Wikileaks brought to the public eye. This post by Rainey Reitman lists "a small selection of cables that [have] been critical to understanding and evaluating controversial events." Among the revelations overviewed are the DYNCORP "dancing boy" scandal, and the misuse of the U.S. diplomatic corp to fix contracts and law reform for big business. Valuable commentary is provided for each entry. This excellent piece by Joshua Reitman on CBS' "World Watch" breaks down noteworthy Cablegate revelations by state. A comprehensive and valuable collection of news headlines. Glenn Greenwald at Salon is a tireless writer on the subject of Wikileaks. He has a formidable ability to dig up old news to give context to today's headlines - serving often as the institutional memory journalism seems to have lost. Greenwald here collects the headlines from 2010, sets them beside each other, and lets the argument develop itself. Res Ipsa Loquitur. "Now that the [Arab] revolutions are entering their fourth month... with two governments overthrown and others tottering on the brink, are the WikiLeaks cables merely reporting from a world that doesn't exist anymore? Or can WikiLeaks still be read with an eye toward the new Arab future? Foreign Policy went back through the files to dig up the best of the Arab world WikiLeaks: the cables with impact on today's revolutions, and tomorrow's." Taking issue specifically with claims that Wikileaks has exposed nothing new, Vince Warren develops a counterargument with reference to actual cables and source materials released by Wikileaks. The collection of references is couched in a valuable discussion of the fundamental commitments of democracy, and the role of journalistic organizations like Wikileaks in this. Before embarking on its own media collaboration with Wikileaks, The Telegraph printed this list of Wikileaks revelations from the period prior to Cabelgate. A digest of the history of Wikileaks leading up to the 2010 leaks and beyond. How often have we been told in world-weary tones that Wikileaks has revealed nothing new - especially by those who want to appear to be in the know? Here is an aide-mémoire of a few of the highest profile revelations.